You can now store your Salesforce authentication credentials in your JangoMail account, allowing you to pull email lists from Salesforce Leads, Contacts, and Campaigns, even if you're not logged into Salesforce. 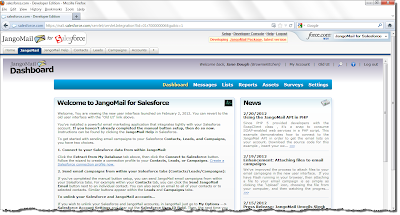 The JangoMail for Salesforce app is an email marketing app that allows you to use JangoMail from within Salesforce. 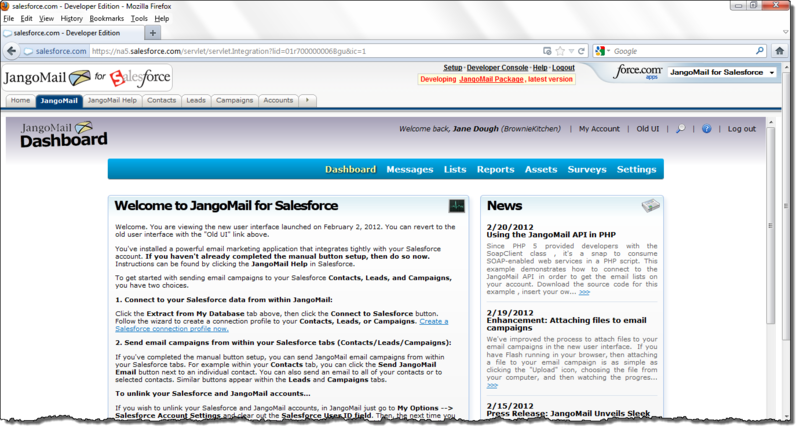 When installed, JangoMail shows up as a separate tab within the Salesforce UI. You can then connect to Contacts, Leads, and Campaigns. 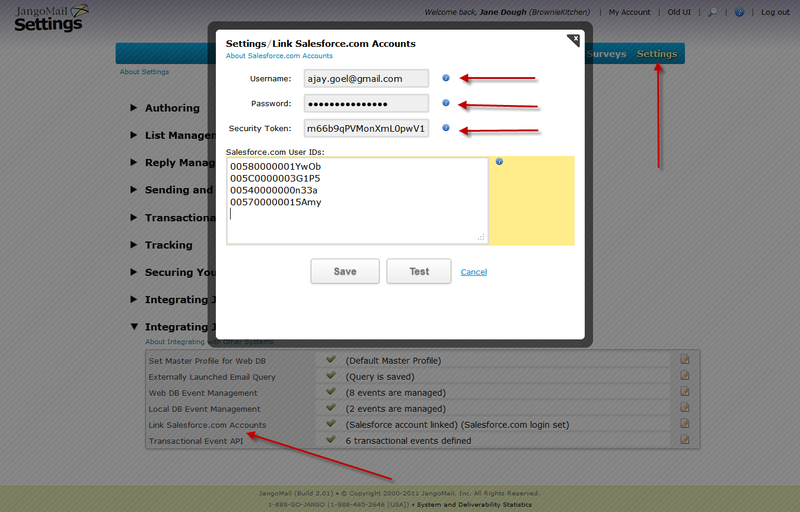 Now, you can pull the same data from Salesforce without being logged into "JangoMail for Salesforce". To store your Salesforce authentication credentials with JangoMail, go to Settings --> Integrating JangoMail With Other Systems --> Salesforce Accounts. 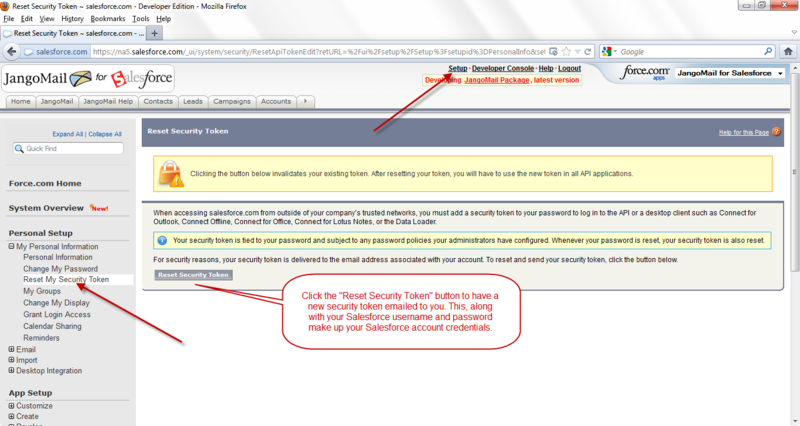 On this screen, enter your Salesforce username, password, and Security Token. 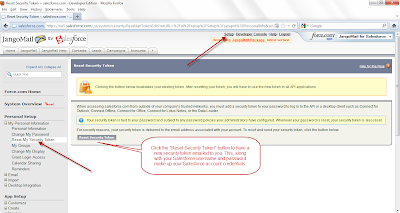 You can retrieve your Salesforce API key from your Salesforce account under Setup --> Reset my Security Token. Once your Salesforce credentials are stored, you can access the same Salesforce functions in JangoMail that would normally be disabled unless you were logged into JangoMail through Salesforce. 1. 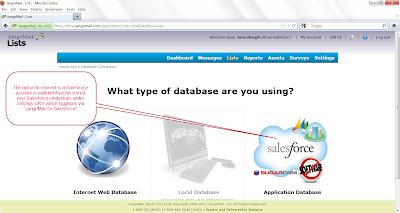 Is storing my Salesforce login information in JangoMail safe? Yes. Your Salesforce authentication information is protected with the same level of security that other sensitive account information like usernames, passwords, and credit cards, are protected. 2. Do I have to store my Salesforce credentials with JangoMail in order to access Salesforce data from JangoMail? No, you don't. 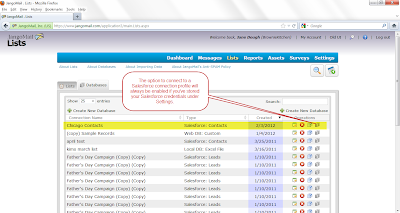 If you've installed JangoMail for Salesforce, and you have the "JangoMail" tab visible from within Salesforce, then you can already access your Salesforce data from JangoMail. 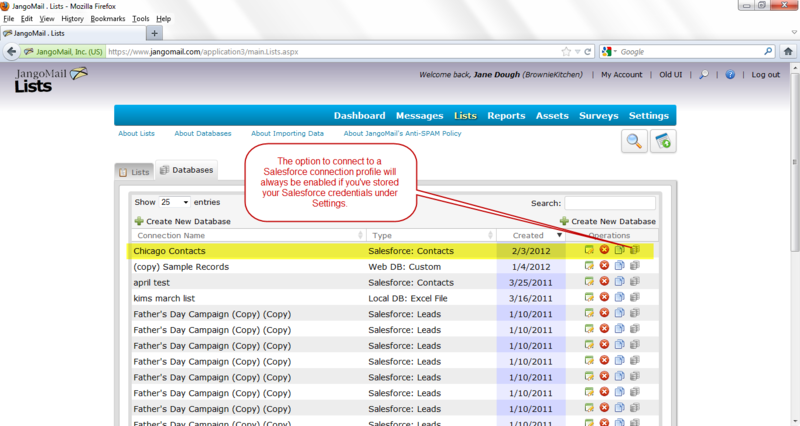 You only need to store your Salesforce credentials with JangoMail if you want to connect to your Salesforce data from JangoMail without being logged into Salesforce. 3. 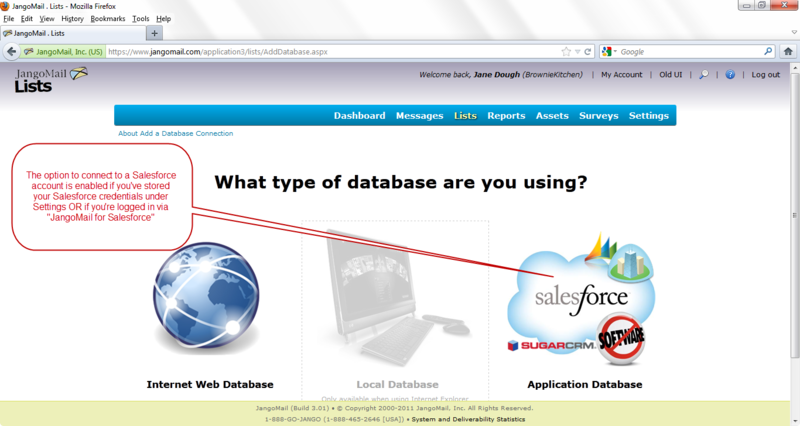 What are the other advantages of storing my Salesforce data with JangoMail? In the future, we'll be releasing tighter Salesforce integration options, including the ability to write subscriber activity data, like opens, clicks, unsubscribes, and bounces, back to your Salesforce account. In order to write data back to Salesforce, your Salesforce authentication credentials will be required.